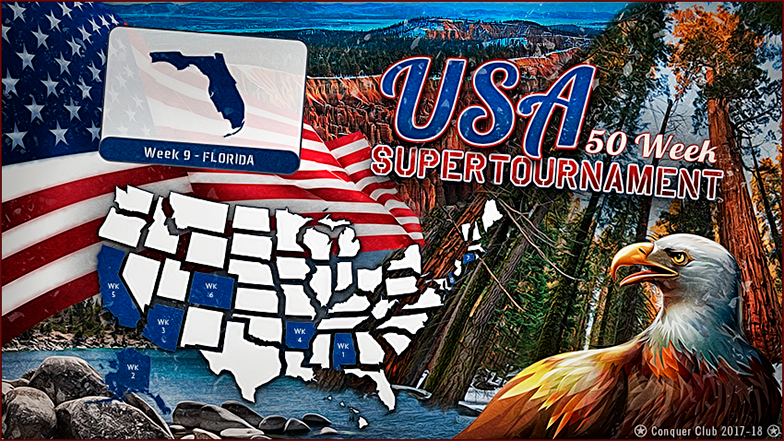 0/7 Rounds - Part of the USA supertournament. This tournament is part of the USA Supertournament. For more details please click this convenient link to visit the information thread in the forum. This is the last round of the USA Supertournament, and it's a little bigger and grander than all the others. We will play seven maps that have strong American connections and didn't quite fit in anywhere else. There is D-Day Omaha Beach, the map depicting the (arguably) toughest day the Americans faced in all of World War II. This tournament is part of the USA Supertournament. On behalf of the site, the Community Team, and all the many people that have worked on this project, I thank you all for having taken part and for having made this a hugely successful series!